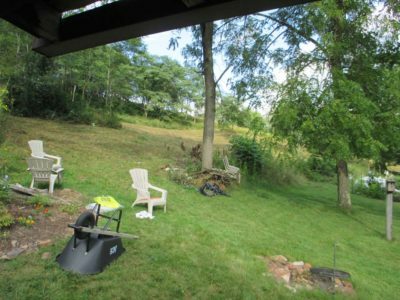 Last week was pretty much dedicated to begin readying the homestead for the upcoming winter, which the almanacs predict will be brutal. 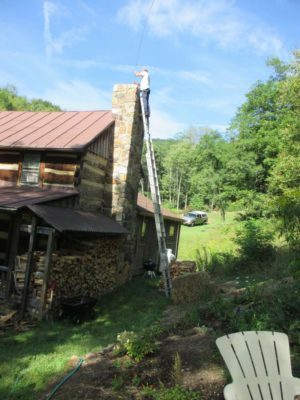 My goal is to eventually get at least a dozen cords (we will need about six for the coming winter) and I am about a third of the way there, so every day was spent cutting, splitting and stacking tons of firewood, and the chimney man came to clean and examine the two chimneys in the cabin. Excellent report there. 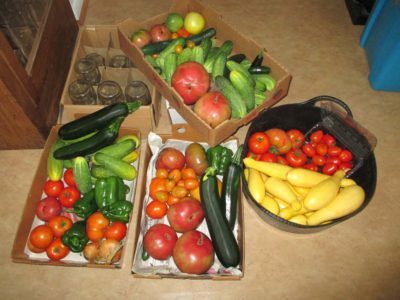 On top of that the daily harvest from the garden is a thing to behold and those bounties are gathered and processed by Mrs. Barn, and plans evolve for expanding and preparing the gardens for next year. 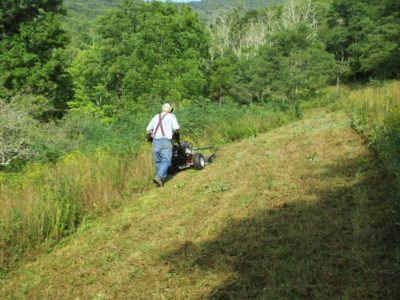 Even more on top of that we picked up our new brush mower so that when I have nothing else to do I can start/continue the clearing of the hillsides adjacent to the cabin and barn. Thus far this machine has revealed itself to be all that we hoped it would be, and since I can set the forward speed to pretty slow it is fine for my hip to make the trek behind it. 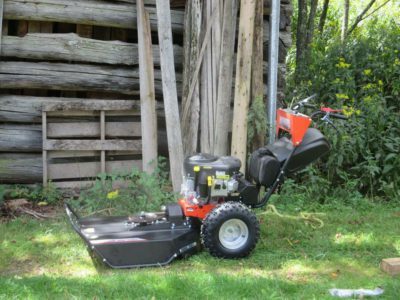 It does require a fair bit of shoulder and arm strength to keep it on the straight path while hogging through the underbrush. The results are pretty impressive. 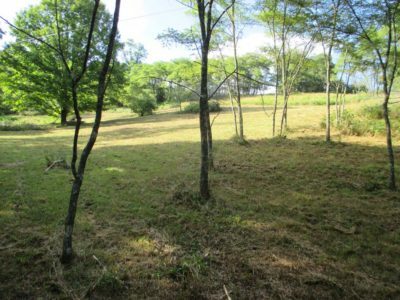 If all goes well I can resume my regular time in the shop now, and spend an hour or two at the beginning and end of the day continuing the tasks of assembling the tons of firewood or clearing the homestead in preparation for expanding the gardens and planting some fruit trees. Rural life is great, especially when you can harness electrons and internal combustion.